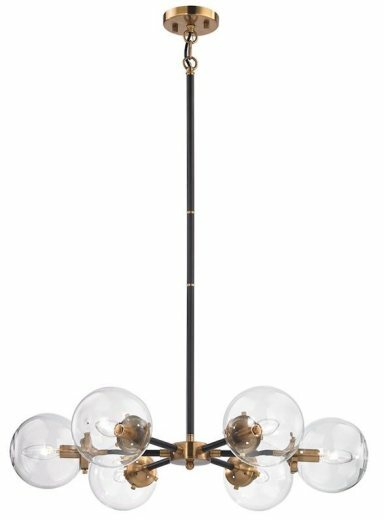 The Loren chandelier has a on trend retro design with matte black and antique gold finish. 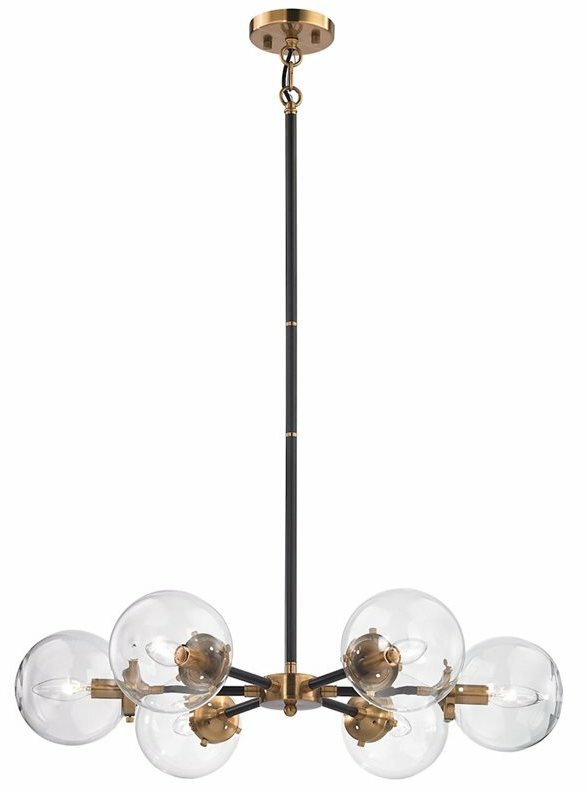 The clear glass globes provide a crisp light. Available in two sizes, featuring either 6 or 8 60 W bulbs.